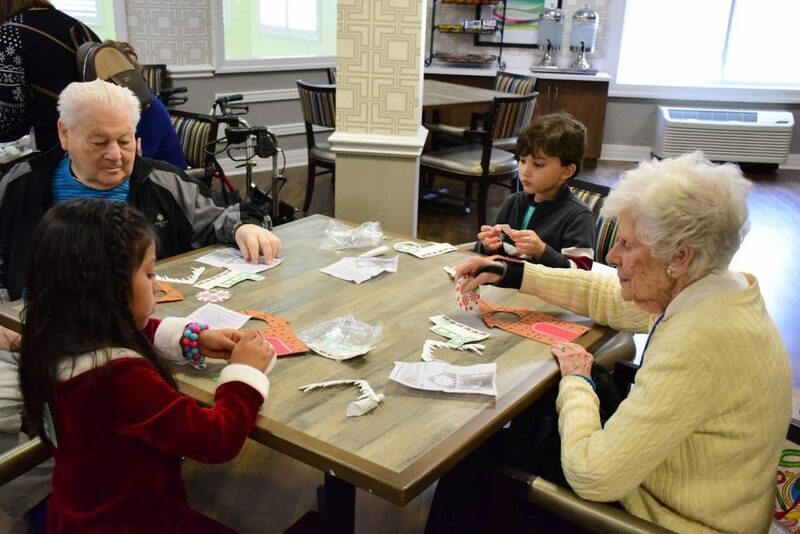 With songs, crafts and games, students from Northwest Elementary School in the Amityville Union Free School District made the holidays a little brighter for seniors at Bristal Assisted Living. More than 40 children made the short trip down County Line Road on Dec. 17. Participants included first-graders from Margaret Brooks’ class and second-graders from Kerrin Faulkner and Jenny Smith’s class. Ms. Brooks accompanied students on the guitar as they began their set with “If You’re Happy and You Know it” before moving on to a slate of popular Christmas tunes. 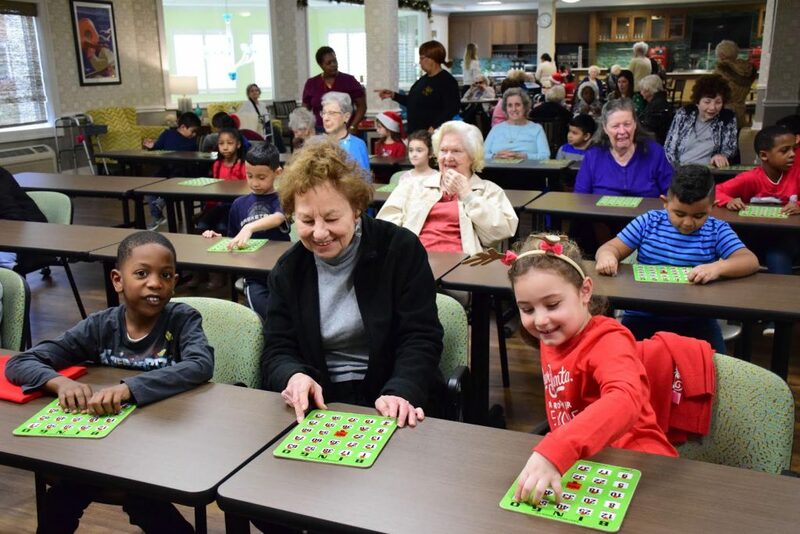 During their hour stay, children and seniors did other activities together including playing bingo, balloon volleyball and gingerbread house crafts. Ms. Smith explained that the second-grade social studies curriculum focuses on communities, so her class does several community service activities throughout the year. This is the third year they have visited the Bristal. 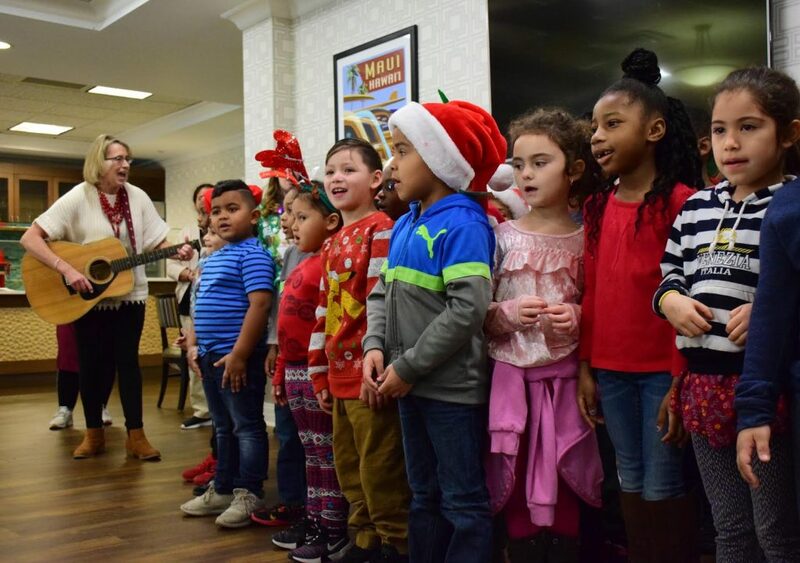 “The students were so excited to come and spread some Christmas cheer to people right within their own community,” Ms. Smith said.